Railway Protection Board has again activated the RPF One Time Registration Link for the RPF Constable Online Registration 2019. RPF & RPSF announced its latest recruitment for the post of Constable Ancillary. The candidates have to simply visit the website and select the link of Online Registration and submit details to apply. In the latest recruitment, RPF announced a 798 vacancy for the Constable (Ancillary). To apply for the post and to get familiarized with the process go through the process. Following important details are shared with the candidates before they proceed to apply for the RPF Recruitment 2019. It is advisable to go through all the necessary detail before you finally move forward to apply for the post and examination of the recruitment. Keep this page bookmarked. We will be providing you with the most recent updates and latest news about the RPF Recruitment CEN 03/2018. RPF Online Registration begins from 1st June 2018 for Railway Police (RPF) Recruitment 2018. Railway Protection Force (RPF) has released notification on 19th May 2018. Candidates can register online for RPF Application for 9739 vacancies for both Constables and Sub-Inspector Posts. Railway Minister tweeted that 50% seats will be reserved for the Female candidates. RPF Application Form will be available online from 1st June and the last to apply online is 30th June 2018. The RPF Online Form have to be submitted before the deadline date. Candidates who are interested and satisfy the eligibility criteria can go through this article and get all the desired information regarding the RPF Online Application Form 2018. Before starting to fill in the RPF Sub-Inspectors, Constables, and Drivers Online Form 2018, candidates must keep ready all the important documents and certificates that can be required while filling the application form. Some of the important documents and certificates are- Scanned Photograph and signature in mentioned specifications, mark sheets, caste certificates (optional) etc. Secondly, candidates must check their eligibility criteria. The eligibility criteria have to be checked in the fields of Age Limit, Nationality, Educational Qualifications, Physical Standards, Medical Criteria etc. If you satisfy all the mentioned/specified eligibility criteria, you can proceed to fill in the application form. If you do not satisfy the eligibility criteria then you are not eligible to fill in the application form. Go through all the Instructions that are displayed before proceeding to fill in the Online Application Form. Always provide the correct information in the application form. Providing wrong information can lead to the rejection of the Application Form. RPF Online Registration comprises the following steps while filling the Application Form. This is the first step of the Application Process. Candidates need to register themselves first on the website. Then enter the basic details such as Name, Date of Birth, Father’s Name, Mother’s Name, Aadhaar Number, State/UT, Community, Education Board, SSLC/Matric Roll Number, Year of Passing SSLC/Matric, Mobile Number, and E-mail ID and click on Submit for registration. After the successful registration, the candidates will receive a OTP to log in. this OTP will be required for the Submission of fees. After making the payment, candidate have to fill in the other details such as the Category, Educational Qualification, Experience, and other details. Candidates need to upload the scanned photograph and signature as per the mentioned specifications. The dimension of the photograph must be 35 mm X 45 mm with the name and date printed on it. The file size must be 15-40 Kb. After completing all the details, confirm the declaration and submit the application form. Download and take the printout of the Application Form. Keep the printout of the Application Form. Candidates are advised to keep the same details in the application form as in their matriculation or any other certificate. Producing wrong information can lead to rejection of the Application Form. Candidates are advised to give an active mobile number and valid e-mail ID while filling the online application form. Change of mobile number and e-mail ID will not be entertained. The Application Forms will be sent online only, no other mediums are supported. 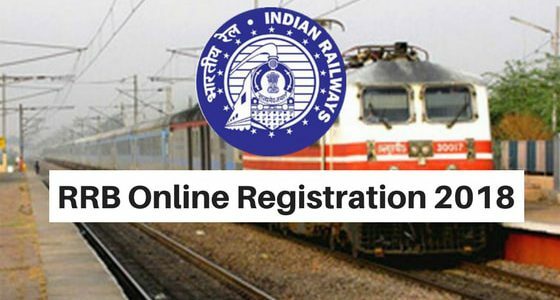 The Online Registration Form 2018 of Railway Recruitment Force will be soon available on the website. Candidates are advised to check the website to check the notifications and latest update. The last date to submit the application for RRB ALP/ Technician and Group- D Posts is 31st March 2018. The last date to modify the application form for both RRB ALP and Group D is 31st March 2018. The last date to make Online Payment for Registration and modification is 30th March 2018. RRB Officials revealed that around 2 Crore Applications has been received and the Board is expecting more applications by the end of the last date. Now the wait is over because this year the Railway Recruitment Board has released the massive number of vacancies for Railway Jobs in 2018 so that it can reach out to more and more candidates. The RRB is inviting over 1 Lakh Vacancies in various Railway Posts and the best part is that the Railway Board is now following a new trend of connecting through the Internet. The RRB is conducting a recruitment for various Technical and Non-Technical Posts which we are going to discuss it later in this article. At the Latest Press Release, the Ministry of Railways has made changes in the Eligibility Criteria, Educational Qualifications, Age Relaxation, Examination Fees, and Language. Due to these certain changes made in the Application Form, the Ministry of the Indian Railways has released a New Application Form Dates. The Online Application Form will start from 28th Feb 2018. The Last Date to fill in the Application Form of Railway Recruitment – 31st March 2018. On 20th March 2018, the Ministry of Indian Railways reserved 20% of the Seats for the “Course Completed Act Apprentices” who were engaged in Railway Establishments under Apprenticeship Act. The Railway Recruitment Board (RRB) is a Government Board of India who is responsible for the recruitment of the employees in the Indian Railways. The RRB has over 21 Regional RRB’s across India. Trade Apprenticeship for Rail Coach Factory, Kapurthala. To know about the Eligibility Criteria and the other details, the candidates must check the Official Website and Notification. False and Incomplete Information will lead to the rejection of the application form. Note: The candidates who have submitted their Application forms before 19th March 2018, can choose or Modify their Exam Language in the Application Form from the Exam Language Option available on the Official website. The candidates must take a look at the vacancies reserved for each Regional RRB Websites before heading to apply. Any false or incorrect information can lead to the rejection of the application form. The candidates must provide an active and valid mobile number and e-mail ID at the time of filling the application form. A candidate can apply only for one RRB Posts. Multiple submission of the forms from one candidate with different particulars will be rejected. The candidates must provide correct information while providing their educational qualifications. The candidates must have completed their education and training from a recognized University and Institute. At the time of filling the application form, the candidates must keep all the academic records nearby. The candidates must keep at least 3 to 4 copies of the photograph till the completion of the recruitment process. Lost Your Registration No…? Find Here! As mentioned earlier, the RRB has taken all of its activities starting from the availability of the application forms to filling and submission of the application form online. For filling an application form, the candidate has to undergo through certain stages of the application. Then the candidate has to select the desired RRB to submit the RRB Application Form. The candidate has to enter the basic personal details such as Name, Date of Birth, Community, E-mail ID, Mobile Number etc. along with the Educational Details. After submitting the above details, the next step is activation. A Registration Number is generated and mobile number and e-mail ID is asked. The candidates who have provided a valid mobile number and e-mail ID can only proceed to further process of Application. An activation link is sent to the candidate’s e-mail ID and mobile number. After clicking on the link, an OTP is sent to the registered mobile number. This will generate the Registration Number. A Registration ID and a Password will be generated which is required on the next stage. Using the ID and the Password, the candidate has to log-in. The candidates have to set preferences for the Posts and has to fill in their experience and qualifications in details. Here the candidates will have to make the payment of the application fees through any one of the following modes- Credit/Debit Card, Net Banking, SBI Internet Banking, SBI Bank Challan and Post Office Challan. Transaction Charges applicable will be extra. The candidates who possess an SBI Debit Card/ Internet Banking facility with SBI can also pay the application fee. No additional charges will be levied. The candidates who are making the payment through SBI Challan can download the Bank Challan prefilled with specific details and make the payment in any branch of the SBI. After making the payment, the candidate has to log in and enter the Journal Number and the Deposit Date. The candidates who are making the payment through Post office challan can download the Post Office Challan prefilled with specified details and make the payment from any computerized Post Office. The processing fees are extra. For Non-Exempt candidates, who has to pay Rs 500/-, will get a refund of Rs 400/- if they appear the Examination. The Reserved category candidates will be refunded complete Rs 250/- if they appear the CBT Exam. The candidate has to upload a scanned passport size photograph while filling the application form. The passport size photograph must be in JPG/JPEG Format. The file size of the scanned photograph must be between 50 Kb to 100 Kb. The candidates can upload their signature in any regional language. The candidate must mention their name and recent date on the photograph. (No Date of Birth has to be mentioned in the photograph). This is the last stage of the Filling of the Application Form. Here the candidate has to confirm the declaration form and finally submit the application form. The candidates must take a printout of the application form and keep it safe till the completion of the Recruitment Process. Check the Eligibility Criteria to apply. RPF ke liye Age limit kya hai ? actually form m ek mistake ho gai h kya kuch kiya jaa skta h ??? pls tell Sir its very urgent ! Sir, I have a registration no. for the post of RPF Constable 2018. But How I want to reopen my registration no. kindly teaching me. Heya i for the first time here. I came across this board and I find It truly useful & it helped me out much. I hope to give something back and aid others like you helped me. Thanks for sharing superb informations. Your site is very cool. I’m impressed by the details that you have on this web site. It reveals how nicely you understand this subject. Bookmarked this web page, will come back for extra articles. You, my friend, ROCK! I found just the information I already searched everywhere and just could not come across. What an ideal site. Great post. I was checking constantly this weblog and I am impressed! Extremely helpful information particularly the closing part 🙂 I take care of such info a lot. I was looking for this particular info for a very long time}. Thanks and best of luck. WHERE WE HAVE TO WRITE JOURNAL NUMBER AND DATE AFTER LOGIN? I AM HAVING PROBLEM REGARDING SBI CHALLAN BECAUSE MY CHALLAN IS YET NOT VERIFIED BY RRB WHY IT IS SO? If form rejected than fees can refund? for RRB ALP, the maximum age limit for OBC category is 33 years. What are the post can apply for only 10th pass candidate’s.? please describe the information…. Sir I have filled RRB Group D recruitment 2018 but while Filling the Form, I have put the Caste Certificate Registration number instead of giving Caste Certificate No….. Can I Edit/Modify/Rectify the Application form…..
sir,am b.tech final year now.i have to apply with 10th qualification or i can mention graduation.. In my account the rupees were cut but the bank challan was failure,so will be refund? I am pay online application fee debited my account but payment null on RRB site. so what can i do? wait for 24 hrs.. After that try again. Can the application fees be repaid if transaction fails in the first attempt. can i change my sslc board name and sslc rollnunber? Sir can I change My Zone pahle Mene Bhopal se Bhara Tha But aab Me Patna se Bharna Chahta hu kya change ho sakta hai ???? sir photo modify two times chesukovaccha? My registration was stopped due to internet problem. Again i tried for registration but it is saying that you have already registered. I did not get any message or mail. If i entered my details in for got registration number it is saying wrong details you have entered. What can i do for this issue. Cant i apply for this job? sir i registered my application..after that i have to login, i filled it..but it showing,registration number or date of birth invalid…but its correct..what should i do. Sir I want to change my registration location .Pl help me. Sir Iam apply for ALP but after registration I will not receive registration ID.So please help me when I apply again message shows that you are already registered what can I do. Currently I’m only registered in RRB Guwahati not complete my whole application process, payment not done, photo uploading not done. Now I want to change RRB, is it possible? Someone please respond to my comment. but when i registered again new, it display you have already registered. How can I get my registration ID & otp..? I am a Mechanical engineer. I had an accident last year and I’ve a surgery done on my broken femur bone, now it is fixed after the surgery. Can I apply for Assistant Loco pilot job ?? Medical Requirements are yet not disclosed. So No Idea..
Sir I am apply for mp zone for ALP but after registration I will not receive registration no. So please help me and when I apply again then message shows that you are already apply what can I do? You have to save your registration number.. Don’t blame the software for your negligence. sir, when i have try to registered myself then already registered is shown but i dnt have registered also i dnt have any verification link in my id or mobile… my email id is also shown already registered. there is no option for to know registration id if somebody else is filled my detail???? Check the updated application form tomorrow.. This issue will be resolved.. I did not received otp through mail and mobile number while applying for the post of alp. So I re-apply bt it shows you are already registered. I also try using different phone number n email id, again it show ur already registered. Can anyone help me. Shailendra Sir What is Post Preference and order of post preference ? please reply to my Query!! I choose only 1 post preferences because I don’t understand it. Is that any problem ? Wait for RRB’s update regarding this until 1st March 2018. I fulfilled rrb alp form but my registration I’d and password are not come on my mobile no and my email.and new registration are not done and show already registered.sir how get my registration I’d and password. Read the RRB’s official notification CEN02/2018 pdf for medical standards criteria in detail. Sir , i am filled a wrong year of passing . so its essential to correct through modification or not ? sir i regiter and also paid fees but after payment i fill second part and suddenly it shut down and now i want my registration number ,i received mail and message only otp not wirth a register number plz sir tell me how can i found my registratiohn number???? wait for RRB’s update regarding this. RRB will solve it soon. Sir I have applied for rrb allahabad but I want to change it to gorakhpur can I do it?? No, you can’t do change in the region after registration. yes, you can change the photograph through Modification in Application Link. Sir, I has been completed 12 in commerce. After 12th i also completed Diploma in Electronics and Telecommunication. My query is that i applied application form for group D post. But in that i choose only 10th pass. Because there is no option for 12th or Diploma?? can i changes in my form?? or is there any option for other qualification?? Is there any chance of rejection due to unscanned photo…. no, if your photo is clear then there is no chance for rejection. Sir, i applied rrb group d secundrabad zone.can I apply another Ahmedabad zone? you can only apply for one region otherwise your application will be rejected. Sir in my railway group d form aadhar number is incorrect by 1 number. yes, you have to do the modification on your application form. Hi I made payment through post office chellan.still it’s not get updated.. still not able to apply future. I waited two days. Since not able to complete application . afrer online payment not coming next step its not verifay by rrb what i am do? my payment alredy done by online mode .so whats next step? afrer online payment not coming next step its not verifay by rrb what i am do? my payment alredy done by online mode .so whats next step?? hello brother.. I am also facing the same issue. If you have solved this issue kindly let me know. i am also facing same problem..if you solve it kindly let me know..